Election day is less than a week away, so remember to vote! Polls stay open from 7:30 a.m. to 8 p.m. and are located at Santa Barbara Hillel, Wolfe Hall, St. Michael’s & All-Angels Church, St. Mark’s University Parish, Merton House and the Linda Vista room of the Santa Catalina residence hall. 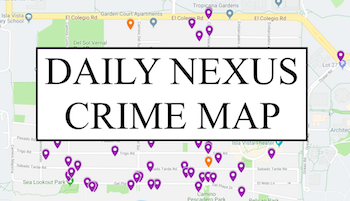 Below, the Daily Nexus editorial board has put together a list of candidates and proposed county ballot measures and state propositions relevant to students with our picks for Nov. 4th. California Proposition 47 would reduce the penalty for most nonviolent felonies to misdemeanors, unless the defendant has prior convictions for violent and serious crimes. Penalty reductions would also apply retroactively to allow resentencing for people already serving time. Net state savings, if Proposition 47 is passed, are estimated to be in the low hundreds of millions of dollars annually as a result of fewer prisoners requiring prison sentences in addition to the release of inmates currently serving sentences. Considering that the U.S. has the highest percentage of its population in prison of any nation in the world, and that California spends billions of dollars a year to keep over 100,000 people in prison, many for non-violent offenses, Proposition 47 offers welcome relief to decades of failed drug and crime policy that has torn apart families, disproportionately afflicted minority communities and ruined lives over victimless and often petty crimes. Another positive aspect of this proposition is that savings from reduced spending on prison sentencing in the state will be redirected to K-12 school programs, assistance for victims of crime, mental health programs and drug addiction treatment designed to keep individuals out of prison and jail. We at the Nexus fully support education and recognize the vital function community colleges play in helping local students move on to four-year colleges or receive vocational training. However, Measure S does not address those concerns. Measure S, which asks for a $288 million bond for facility improvements, is claiming that SBCC is in dire need of “modernization and upgrades to meet 21st-century standards.” However, in 2008 SBCC passed Measure V, a bond of $77.2 million that was similarly supposed to go to upgrading instructional facilities and classrooms, but resulted in the creation of a press box at La Playa Stadium, an upgrade not mentioned in the 2008 measure. Measure S aims to improve infrastructure and address circulation, transit, parking and student housing in order to handle its increase of students to the detriment of local Santa Barbara residents who will have less housing availability and will have to pay more property taxes if the measure is passed. Measure S aims to make state-of-the-art buildings when its purpose should be to serve local students, not attract an already growing number of non-local students coming to Santa Barbara as a tourist destination. However, we also recognize that at such a low cost to homeowners (near $15 per $100,000 assessed value per home per year), this bond is not utterly unreasonable. Furthermore, because SBCC will have to remove its portable classrooms as the result of a decision by the Coastal Commission, they will need money in the near future to replace these classrooms with permanent fixtures. We could go on about a list of improvements and upgrades that SBCC needs, and we are not denying that they need them, but we are skeptical as to how these projects will benefit the students and the community. We are merely asking that SBCC make a more concrete plan as to what it will be doing with taxpayer money before we can support their quest to get it. 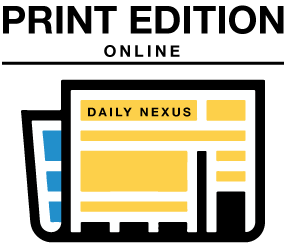 The Daily Nexus cautiously says Yes to Measure P.
Passing Measure P would be a powerful statement that Santa Barbara County values environmental integrity more than gas and oil production. It would also make a statement supporting the essential development of alternative renewable energy programs in response to toxic chemical emissions produced by the oil and natural gas industry. Passing Measure P sends a message that indefinite dependence on fossil fuels for energy is a future that the residents of Santa Barbara County refuse to accept. That is not to say we do not recognize the adverse effects passing Measure P could have. We recognize the effect of the restrictions on the use of cyclic steam injection in any new oil wells would render the production of any new wells uneconomical, because wells would run dry in a short period of time without the pressure provided by cyclic steam injection. For another, the ballot initiative is presented as an anti-fracking ban even though the makeup of rock layers underneath Santa Barbara County renders fracking unviable. We also recognize that, even if Measure P is passed, the global demand for oil will continue to rise and that oil not produced in Santa Barbara County would have to be produced elsewhere, in areas which may or may not have less-strict regulations and environmental safeguards. Despite these contentions, we still think Measure P is unlikely to tank the county’s economy, as opponents say. Jobs connected to the oil industry account for just one percent of economic activity within the county. In addition, Measure P will allow existing oil wells to operate as is, permitting current use of cyclic steam injection and other conventional methods of oil drilling to stay the same. Ultimately, we think that despite its legislative ambiguity, this measure makes a statement regarding the dire need to cease crude oil production in favor of immediate movement toward renewable, green energy. Without the new technologies for oil drilling I think this measures should pass. Santa Barbara and Santa Maria need jobs and we all need oil. This would be also be very economical for new businesses to come in to the area to create other new jobs besides just the oil industry. This would also help reduce the price of oil to consumers. We need this proposition to pass. I meant to say on my post with all the “new” safer technologies for drilling on land that measure P should pass. Well, after rereading Proposition P, Yes actually means NO to drilling. This is very misleading to a lot of people and is done on purpose to confuse people. I find this very irritating. VOTE “NO” on Proposition P.